No 75th-anniversary celebration would be complete without an official commemorative set of U.S. postage stamps. 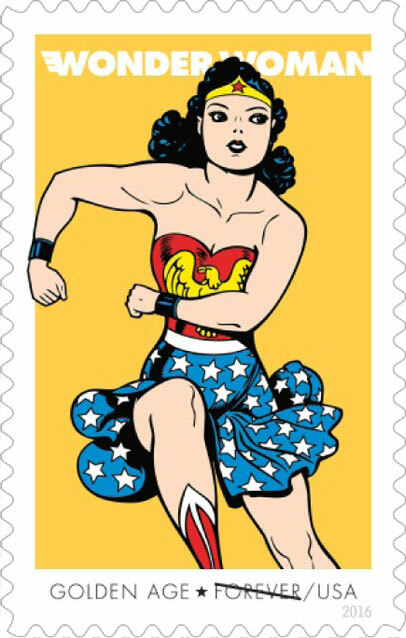 The United States Postal Service will be honoring DC Comics' iconic Amazon princess Wonder Woman with her own stamps covering the Golden Age to the Modern Age of comics. On Saturday, July 23, during the 2016 San Diego Comic-Con, the stamps and other related merchandise and events will be discussed at a panel about Wonder Woman. 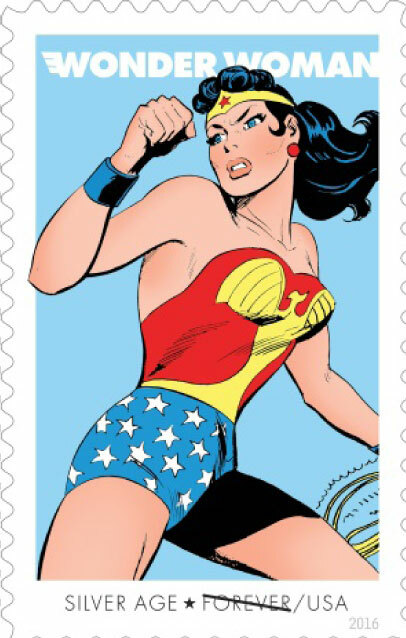 Created by the American psychologist and writer William Moulton Marston, Wonder Woman first appeared in All Star Comics #8 in 1941 before appearing on the cover of the 1942 Sensation Comics #1. 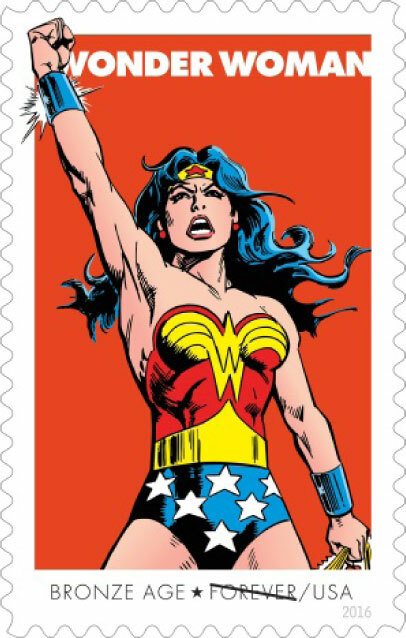 Her depiction as an international diplomatic heroine fighting for justice, love, peace, and gender equality has led to Wonder Woman being widely considered a feminist icon. 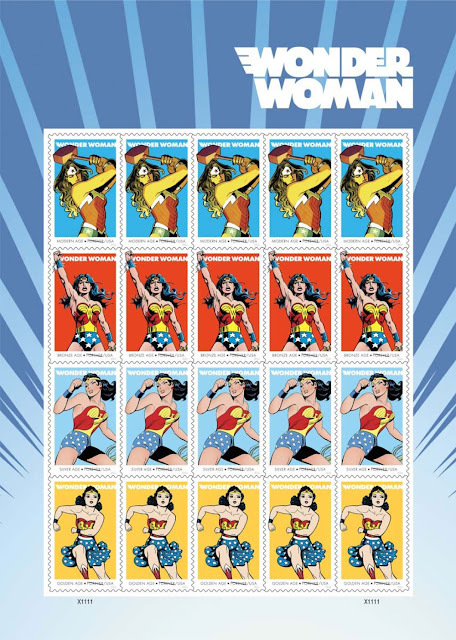 There is a slew of products and projects from comics to animation among other things to celebrate the biggest female hero in pop culture. At Comic-Con, you'll be able to see rare Wonder Woman costumes and props, including the original costume worn by Lynda Carter in the 1970s "Wonder Woman" television series as well as the costume donned by star Gal Gadot in the upcoming "Wonder Woman" 2017 feature film. Wonder Woman herself, Gal Gadot, will accompany her co-stars Chris Pine (Capt. Steve Trevor) and Connie Nielsen (Queen Hippolyta) to the DC booth for an autograph session, Saturday from 12:15 to 1:00pm. Wristbands for the Wonder Woman cast signing will be extremely limited and will be distributed beginning at 6am Saturday morning at the Sails Pavilion with the WB queue via lottery. 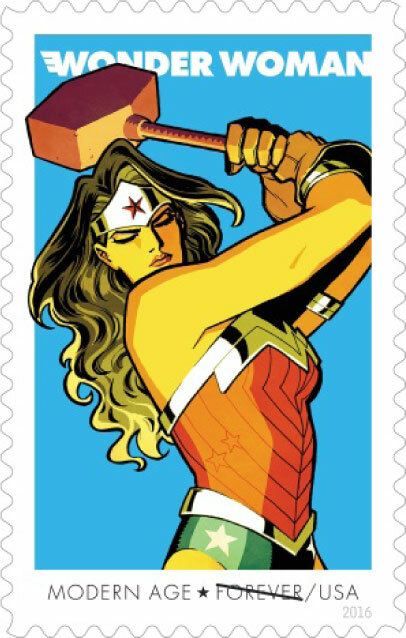 The first-day-of-issue dedication ceremony for the Wonder Woman stamps will take place on October 7 at New York Comic-Con. Fans are encouraged to share the news on social media using the hashtags #WonderWomanForever and #WonderWoman75.